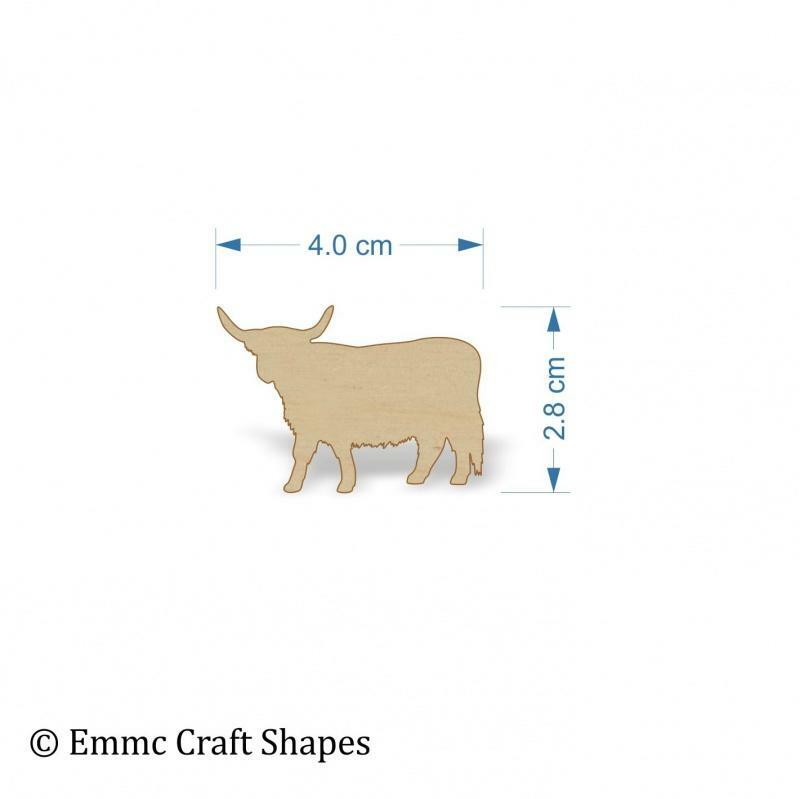 Scottish / Highland cow craft shape variations. These are normally supplied without a hole, if, however, you would like a hole added please just leave us a message at the checkout letting us know where you would like it and we will happily add it for free. We can make these to your own requirements, please get in contact to see if we can help with your project. 4mm thick birch plywood blank tag. 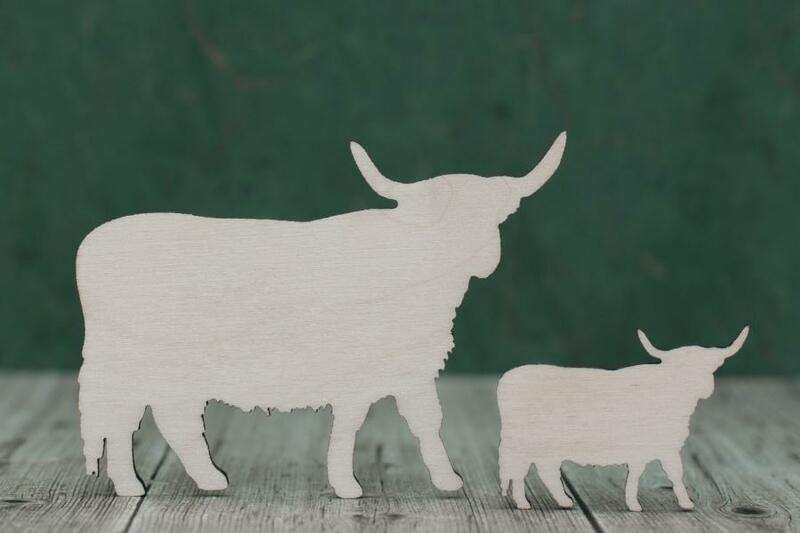 Wooden highland cow shape, laser cut from quality 4mm birch plywood. They are lightly sanded both sides. 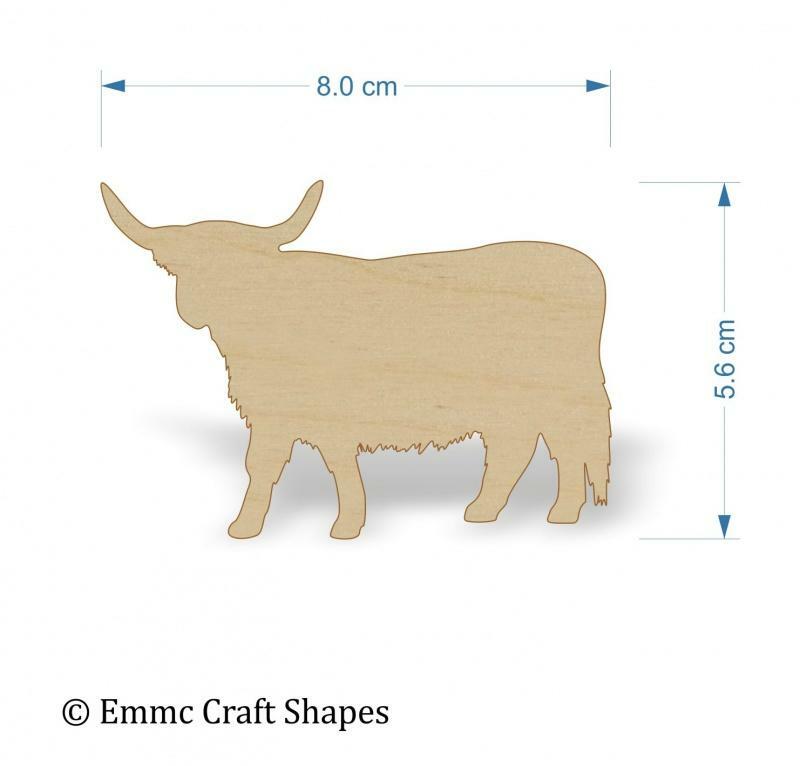 Ideal for animal plaques and Scottish themed cards and box frames.